SCAUWG has played a major innovative role helping to shape the character of LA Airspace. Monthly, SCAUWG Current Projects are discussed. Whether in person or via the teleconferenced meeting option stakeholder professionals and knowledgeable airmen meet to discuss further pathways that can lead to LA Airspace Safety and Efficiency. 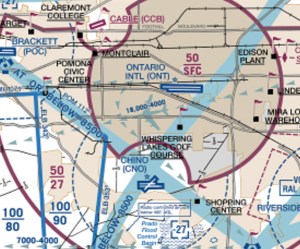 Whether the goal is to promote Southern California Airport Runway Safety, to deconflict IFR approach and departure procedures, design safer flight routes that can lesson area TCAS Alerts, and provide improved VFR transit throughout the LA Basin, or promote better noise abatement policy amongst pilots, no challenge has been to large for SCAUWG to tackle. Perhaps one of SCAUWG's Most Important Goals today, is to influence the redesign of the Los Angeles Flyway Chart, found on the reverse side of the LA TAC. This important VFR Pilot Route Planning Chart was designed in the early 1990's and was up-to-date and current at that time. Now, after so many procedures have changed, our position after considerable reflection, is the Flyway Chart's suggested VFR routes and altitudes also must change. The revision of the LA TAC Chart might also be further enhanced if a hybrid design that would combine the LA Area Helicopter Chart and the LA TAC Chart as one production could be published. SCAUWG has a prototype that depicts what such a chart would look like. The most recent SCAUWG goals are featured herein via the meeting agendas that follow and detail our Current Projects. For additional perspective regarding SCAUWG goals we invite you to also refer to the current chart revisions SCAUWG has proposed.